The Computer Science Teachers Association brought its world class professional development and educator community together in July of 2018. Teachers of Computer Science got the opportunity to build skills and get inspired. CAC built its growing network of CS educators thanks to CSTA. 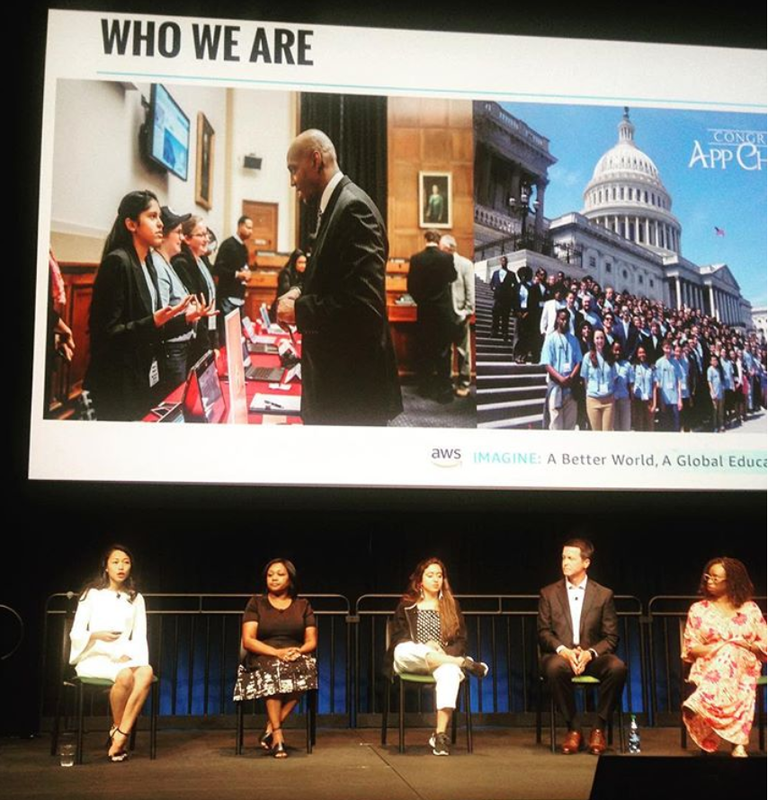 Melissa Medina – the Congressional Affairs Director for the Congressional App Challenge – spoke at the Amazon Web Services (AWS) IMAGINE: A Better World, A Global Education Conference. The conference brought together over 270 leaders from around the globe to further the achievement of the United Nations’ Sustainable Development Goals. Ms. Medina discussed the challenges and opportunities facing education and how technology can be the key to innovating government outreach. Already, almost 200 Members of Congress have launched a Challenge for their respective districts. “The Congressional App Challenge is the largest series of student coding competitions in the world,” said Tim Lordan, Executive Director of the Internet Education Foundation, which was appointed as the CAC’s official sponsor by the U.S. House Of Representatives.